Saginaw Bay open water fishing is here. Anglers are looking for perch in the river mouths and cuts however it is still early. Sucker runs are underway and the fishing was good. Boat anglers caught walleye three miles off Linwood when trolling crank baits. Walleye were caught near Spoils Island and between the Saginaw River and the Kawkawlin River. Some were fishing east toward Finn Road but the Finn Road cut was still full of ice so boats are launching at the mouth of the Saginaw River. Those vertical jigging or using perch rigs with walleye minnows caught walleye just off the mouth of the Saginaw River. Over at the Hot Ponds, anglers caught white bass and carp. A couple fish were caught off Quanicassee. Perch fishing was still slow in the cuts near Unionville, Fish Point and near the Sebewaing River. Anglers are “cut-hopping” which is fishing one cut for a short time then driving to the next. Warm rain this week should get the bite going. Saginaw River boat anglers fishing the lower river were getting some perch out of the Bay Aggregate Cut. Au Gres Area the bay is open but there was not much activity. Au Gres River is open and there was a fair amount of activity on the East Branch with anglers catching steelhead near the Singing Bridge. Some were up to 4 pounds. Steelhead were reported along Turner Road. Pine River the boat launch is now open. Quanicassee River shore anglers targeting perch reported slow fishing. Rifle River suckers are being caught by hook-and-line between Omer and the mouth. A couple steelhead were also caught. Oscoda the mouth of the river is open to boat and pier anglers. There is one dock in with ample room to launch. Pier anglers caught steelhead, walleye and suckers. Au Sable River those fishing up river had success when targeting steelhead. Fish the deeper holes and around the bends. Drifting spawn and body baits did best but anglers may also want to try small spoons or spinners. 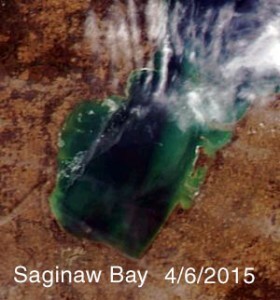 Tawas Area the ice is gone around the State Harbor. Pier anglers are casting outside the wall for whatever will hit and it was not much. A couple walleye and a pike were caught just off the mouth of the river. Tawas River anglers caught steelhead and suckers in the lower river. Weekly Fishing Tip: Want to plan a fishing trip? 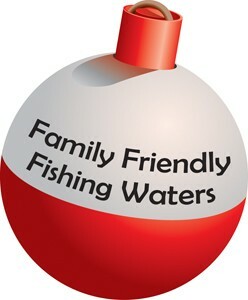 Check out the Family Friendly Fishing Waters website! In 2013 the DNR launched a section of its website that helps inexperienced anglers find great spots to go fishing in Michigan. 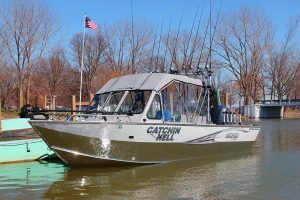 The Family Friendly Fishing Waters section of the website connects interested individuals with local fishing opportunities. The Family Friendly Fishing Waters website can be found at michigan.gov/fishing and features a map of Michigan. Visitors can simply click on the county they are interested in fishing and see a list of one or more family-friendly locations to fish. Every county in the state has locations featured. The DNR provided the family-friendly designation based on their ease of access, high likelihood of success in catching fish, identified amenities, and other details. To build this section of the website the DNR is still looking for the public’s help in submitting locations from throughout the state that would be easy for new anglers to access and use. Potential locations will continue to be accepted by the DNR. Each water body’s online profile includes its geographic location, driving directions, parking information, hours of operation, species of fish available, typical bait used, and much more.